Why Us for your Wedding? Burton-Sage Photography & Videography is based in Syracuse, N.Y. serving Syracuse, Rochester, Buffalo, Utica, Skaneateles, Cortland, Binghamton, Albany, Ithaca, and Oswego. For the absolute best in Syracuse Wedding, Bar/Bat Mitzvah & Event Videography. Why pick Burton-Sage Photography & Videography for your Syracuse Wedding? 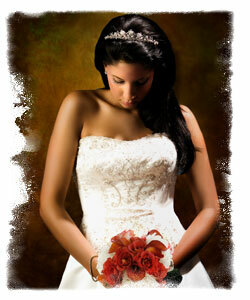 Burton-Sage Wedding Photography & Video has been serving the Syracuse and CNY Wedding Community for years. Your Wedding will be captured without a hitch when you choose Burton-Sage Syracuse Wedding Photography & Video. You’ll enjoy all the special treatment you’ll get for your Special Wedding Day. Our fun, candid and creative style guarantees your wedding will be be preserved in timeless elegance! Burton-Sage Wedding Photography & Video captures the romantic memories that will last a lifetime. Our photojournalistic style has made us one of the most sought after Wedding Studios for Syracuse Wedding Photography & Videography. Burton-Sage Wedding Photography and Videography captures the details & memories that last a lifetime. If it was a wedding in Syracuse, chances are people have heard about Burton-Sage Photography- Syracuse’s #1 Wedding and Bar/Bat Mitzvah Videography Company. For the very best in Syracuse Wedding, Bar/Bat Mitzvah & Event videographers and photography check with Burton-Sage Wedding Photography and Video- The best place to start planning your Syracuse Wedding, Bar/Bat Mitzvah or Event. Looking for the best Wedding, Bar/Bat Mitzvah & Event videographers in Syracuse & CNY is much easier when you start with burton-sagephotography.com. We can help with your Syracuse and CNY Wedding and Bar/Bat Mitzvah. Burton-Sage Wedding Photography and Video is a huge source of wedding Videography and Photography information from the most experienced Syracuse Wedding & Bar/Bat Mitzvah professionals.